[SatNews] MaxLinear Inc. (NYSE: MXL) has announced that Zinwell, a satellite TV STB manufacturer, has selected the MxL544 Full Spectrum Capture ™ (FSC™) DVB-S/S2 receiver for a new family of satellite TV home media gateways. The MxL544-powered satellite media gateways from Zinwell include a four-channel “headed” gateway and a four-channel “headless” media gateway, both of which facilitate viewing satellite TV content on multiple screens throughout the home, including TVs, computers, tablets and smartphones. 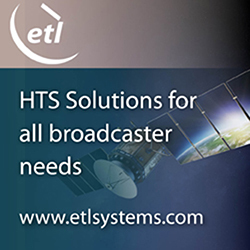 The two systems are designed for both pay-tv and free-to-air market satellite customers in Asian and European markets. Home media gateways are high-end STB products that enable the integration of video capabilities into an existing home network and the service provider’s infrastructure. They feature built-in storage for PVR, home networking capabilities, transcoding and IP video support. Acting as media servers, a gateway can terminate conditional access, convert satellite TV content into IP packets and stream the packets in the home over wired or wireless networks. Headed gateways, which have video decode capabilities, sport a video rendering component that allows direct connection to a television using a traditional output method such as HDMI. In contrast, the headless gateways do not have video rendering component and hence they cannot be directly plugged into a television set. Decoding of satellite TV content is performed on the client devices in this case. The MxL544 features four FSC tuners, each of which digitizes the entire 950-2150 MHz satellite spectrum and replaces up to four discrete tuners. It is a true single-chip solution because it integrates low-noise amplifier (LNA), tuners and demodulators, all of which reduces the bill of materials and simplifies the frontend design dramatically. It is also built using MaxLinear’s proprietary digital CMOS process for the lowest power consumption in the industry. The announcement was made at the International Broadcasting Convention, in Amsterdam (Sept. 12-17), where MaxLinear will be showing its latest products in customer booths and in a private meeting room. The gateways are expected to be in mass production in first half of 2014.